As I’m sure you can tell at this point, I am really into flowy basic tops. If I could pick my perfect, everyday outfit, it would be a pair of comfortable jeans, a flowy basic top, and dressing it up with fun accessories. This top specifically is from Nordstrom and is really affordable. It comes in a variation of colors but I was really into this Olive green color. 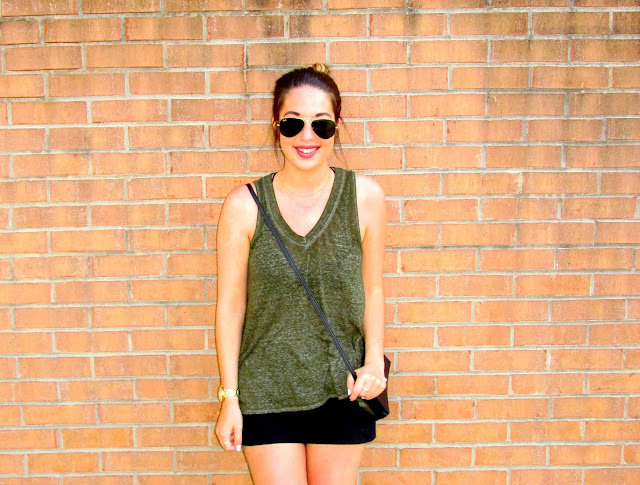 Olive pairs well with black, brown, white and jeans so you can have a lot of outfit variation. I will say that when it comes to wardrobe staples like your everyday basic tops, jeans and shoes, I think it is important to pay attention to quality and to maybe spend a little more than you would on other items. These are the things you’ll be wearing the most and can transition season to season. 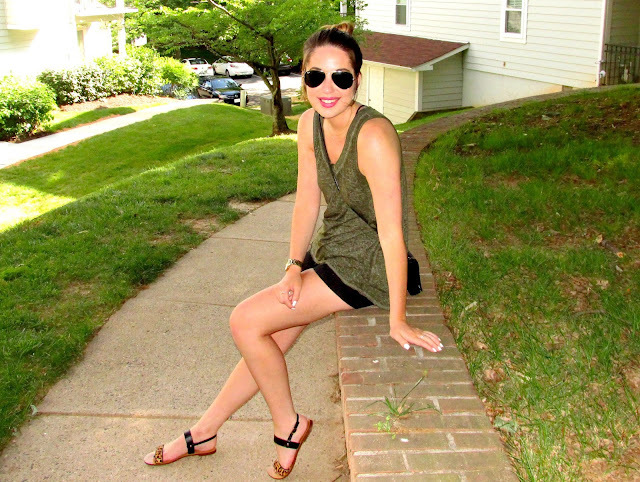 Love the web design, and loving the sandals on this post outfit, the aviator sunglasses finishes the outfit! amazing outfit my dear, you look so pretty! :) lovely top! Lovely outfit~ thank you for sharing! Great idea to wear these basic tops. I love them too! You can wear them with so many things and you look amazing in green.